Tippet Rise Art Center is a dream in the middle of nowhere. But it’s a beautiful, majestic, open-ended and Big-Sky-ed nowhere — a place in which to find blessed escape. 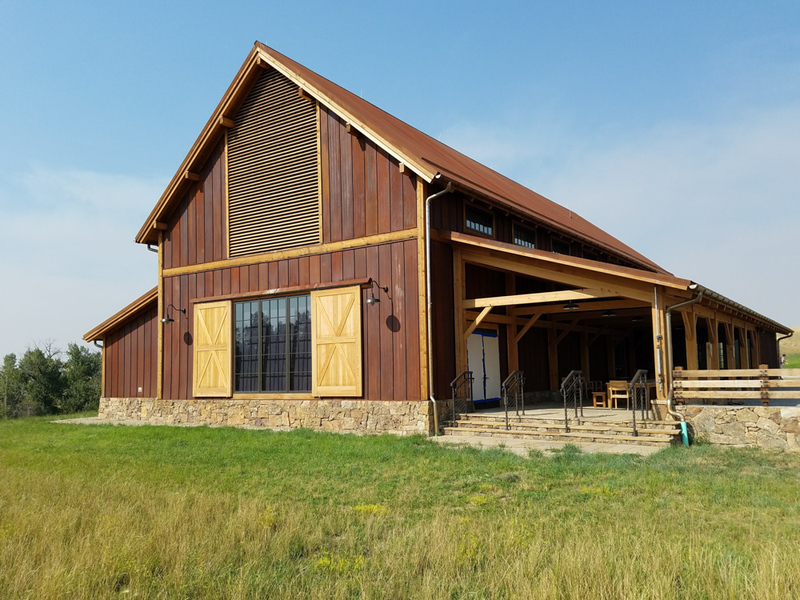 Imagine a vast, transformed 10,260-acre Montana ranch sparsely dotted with large outdoor sculptures, and a state-of-the-art concert hall the Olivier Music Barn (with recording studio upstairs) where chamber music of an internationally pitched caliber is performed. Before and after concerts (at the audience-friendly price of $10), people gather for food, talk, and general chilling in the open-aired structure known as Will’s Shed. Officially opened in 2016, Tippet Rise is one of those secret art-music-getaway treasures of an American summer, slowly reaching its cruising altitude and getting the attention due. The destination is a unique vision realized by Peter and Cathy Halstead — she an abstract painter, he a pianist and poet. Enabled by ample financial means secured by a liquor distribution empire (the Jägermeister boom, for one), and driven by a passion for art, music, and cultural-philanthropic gestures, this dynamic East Coast couple have fulfilled their dream of a place beyond the urban crush, where art, serious music, and sprawling nature get along beautifully. Funnily enough, the concept might have broken ground in Santa Barbara County, but the conceptual winds shifted. The Halsteads, an engaging and naturally sociable couple, sat down for an interview in one of the few buildings on the property when I visited the place last year. Peter explained that, early in the project’s exploratory/brainstorming phase, the Santa Ynez Valley was seeming like a ripe location. “We love Santa Barbara,” Peter effused. “We nearly did this in Santa Barbara.” They were eyeing a particular property in the Santa Rita Hills area in Santa Ynez Valley, but became wary of regulations involving the Coastal Commission and the ranch-specific provisions of the Williamson Act, which wouldn’t be conducive to a new art center. The Halsteads settled on a working ranch at the foot of Montana’s Beartooth Mountains, which were recently in the news because of the dubious assaults on its natural state and protected status by the Trump-Zinke axis of eco-evil. Tippet Rise, open to public use and special “van tours” of the sparsely dispersed sculptures on the property, is part of the Beartooth Wilderness, a one million-acre expanse of natural wonder and a “gateway” to the two million acres of Yellowstone. But this is not a typical resort scenario or high art dude ranch: Tippet Rise sits a comfortable distance from creature comforts of any handy nearby accommodations. The nearest towns — such as Fishtail, Absorokee, and Roscoe — are tiny, bucolic, and equipped with vintage churches and cowboy bars, and the still slow incursion of gentrifying blandishments and (depending on who you’re talking to) despoilments. Late last summer, a small posse of press visitors rested our heads at the Pollard Hotel (circa 1902) in the charming burg of Red Lodge, a 40-minute drive from Tippet Rise. 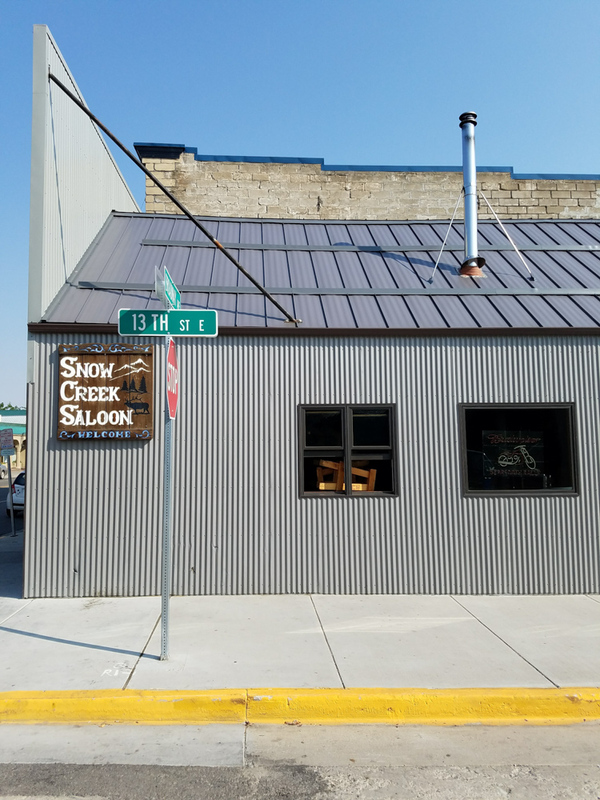 Down the street a few blocks stood the Snow Creek Saloon, as cool, deep, and immersive a cowboy bar as you’d want to wet your whistle in. 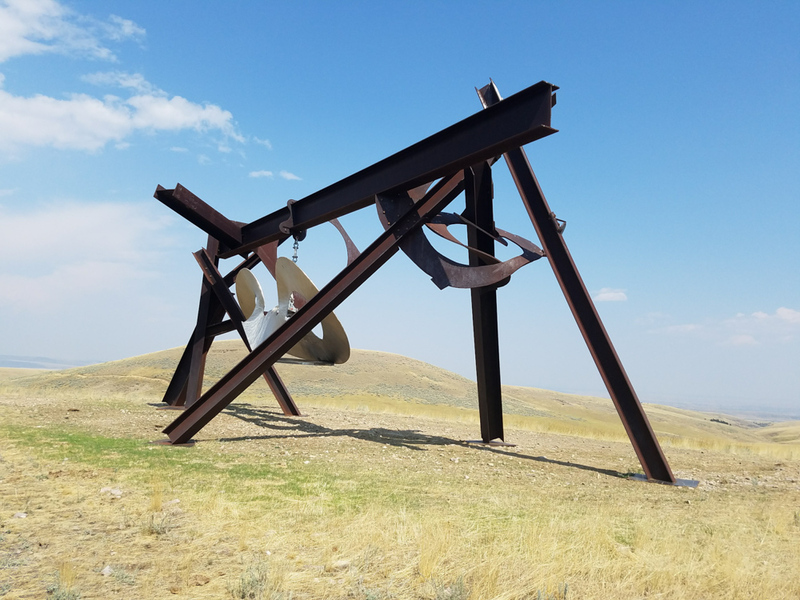 My few days at the Rise and visiting the surrounding Montanan area and townships (usually of 1,000 pop., or fewer) was an eye and ear-opening encounter. Among the take-home epiphanies was a tour of the several epic artworks around the acreage, and, for our indoor pleasure, the musical treasures on parade. 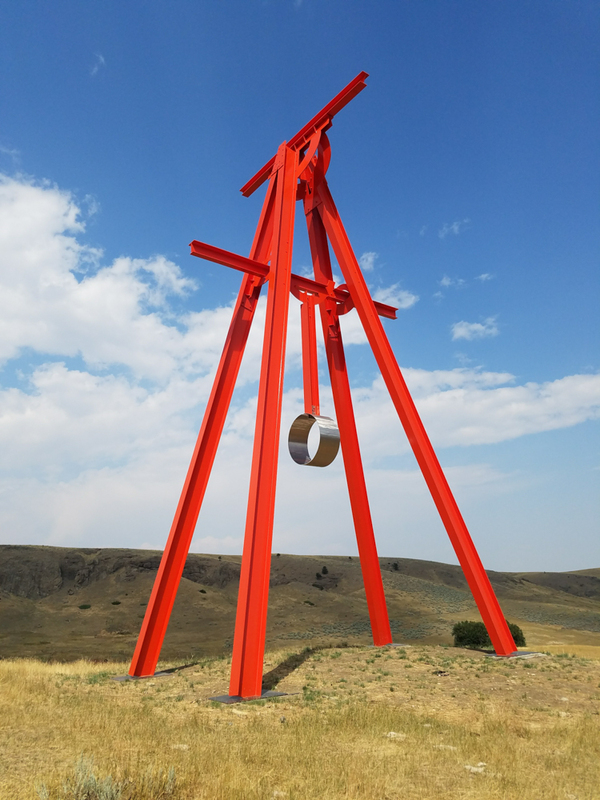 I specifically chose the time period in the Tippet Rise’s summer season (the current season runs until September 8) mainly for musical reasons. I was eager to catch a world premiere of a new jazz-inspired piece by the wondrous and still under-recognized American composer Aaron Jay Kernis. Hearing First Club Date, with cellist Matt Haimovitz and pianist Pedja Muzijevic traversing Kernis-esque language slipping seamlessly between contemporary classical syntax and jazz sunbursts (and dedicated to Kernis’ jazz-loving cellist son) gained added luster from the ideal ambient circumstances. Also, on that Friday evening recital program, Muzijevic was heard working interpretive magic in a program including the rebel side of CPE Bach and, notably, the mystical machinations of a piece by Morton Feldman. During the time-elastic mist of the Feldman pieces, the stunning view of the pale, late sun-kissed Montanan hills through the large picture window situated behind the stage conspired toward a cathartic “wow” sensation of the sight-sound-site kind. In a dramatic example of the intersection of music, art, and natural forces on this property, an outdoor concert called “Flight of Winds,” slated to be performed in and around the striking alien/primordial-looking sculpture/dwelling the Domo, had to be moved indoors. The winds were not cooperating with the humans’ plans. The Domo, a kind of faux-archeological dig experiment in negative space, was created by Ensamble Studio (Anton Garcia-Abril and Debora Mesa), whose work deftly blends elements of earth, architecture, sculpture, and an enticing sense of ersatz archeology. Those qualities are also found in twin Tippet Rise spectaculars, the Inverted Portal and Beartooth Portal, massive, balanced concrete masses perched on opposite hilltops and “talking” to each other from across a canyon. Kindly and knowledgeable property managers Lindsey and Pete Hinmon took us on a van tour of the property and its selectively-situated and generally epic-scaled sculptures. This is a sculpture garden requiring vehicular transport, a testament to the Halstead’s mission of an interactive accord between the art and the sprawl of the land. The tour reasonably started with Alexander Calder machinistic-meets-insectoid “Two Discs,” down by the “civilized corner” of the Art Center. 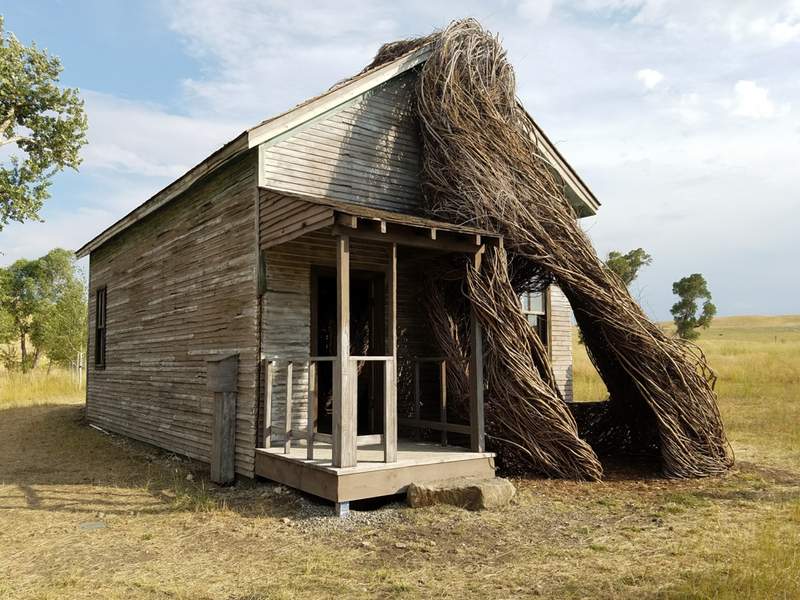 Also near the buildings sits Patrick Dougherty’s entrancing “Daydreams,” a rustic old schoolhouse repurposed and reenergized by the artistic intention of having the structure engulfed by wild manes of dry ropy vines. Nature consumes and reclaims culture, conspiring toward a new statement. Further up into the property, the well-known sculptor Mark di Suvero’s sleek, vivid red post-industrial construction “Proverb” owns its own hilltop and wide expanse, and is a short drive away from the sculptor’s other work, “Beethoven’s Quartet.” This striking (and strikable, percussively playable) piece uses I-beams and other sturdy metal parts in its dramatic structural design but is contrasted by graceful touches of kinetic and ultimately musical possibilities. Writing about Tippet Rise, several months later, triggers a strong desire for an encore visit. And given the dynamic musical program woven into the agenda — this summer with world premieres and performances by world-renowned musicians and composers including Kernis, Timo Andres, Jenny Chen, Wu Han, Ingrid Fliter, Jeffrey Kahane, David Finckel, and countless others — gives each summer, and each summer weekend, something unique. Tippet Rise is an enlightened compound where serious music and art and a vast stretch of nature meet blissfully. It’s a national cultural phenom in the making, one where the “you have to be there” mandate is a given, especially in a fragile time window when wilderness sanctity is at stake. For information about Tippet Rise, see tippetrise.org or email info@tippetrise.com.